At Tallgrass Country Club, outing participants enjoy championship golf with excellent course conditions on our Arthur Hills Signature Course which has hosted such prestigious events as the Kansas State Amateur, Senior State Amateur and annual Colbert / Fogler Classic to name a few. Our professional outing staff will handle your cart signs, tournament scoring, prizes, hole-in-one packages, food and beverage, and fantastic golf in a convenient professional package! We have a variety of tasty food options to suit every palate and budget, knowledgable and friendly staff, and with beautiful native grasses, the course is guaranteed to give even the best of handicaps a solid test of skills. 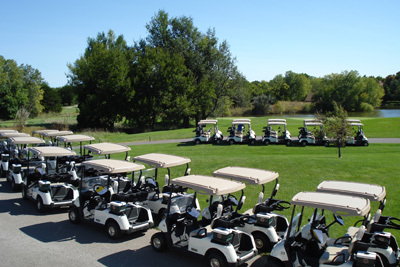 Whether you are hosting a large corporate outing, charity event or a small outing for 12 players, Tallgrass' professional staff will accomodate all of your outing needs. RESERVE YOUR PREFERRED OUTING DATE TODAY! For complete information and to schedule a visit and discover all that Tallgrass has to offer, please call Head Golf Professional Richard Waller (316) 684-4110. 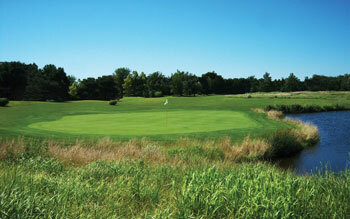 The beautiful native tall grass gives the course a distinct look and embraces nature's beauty.